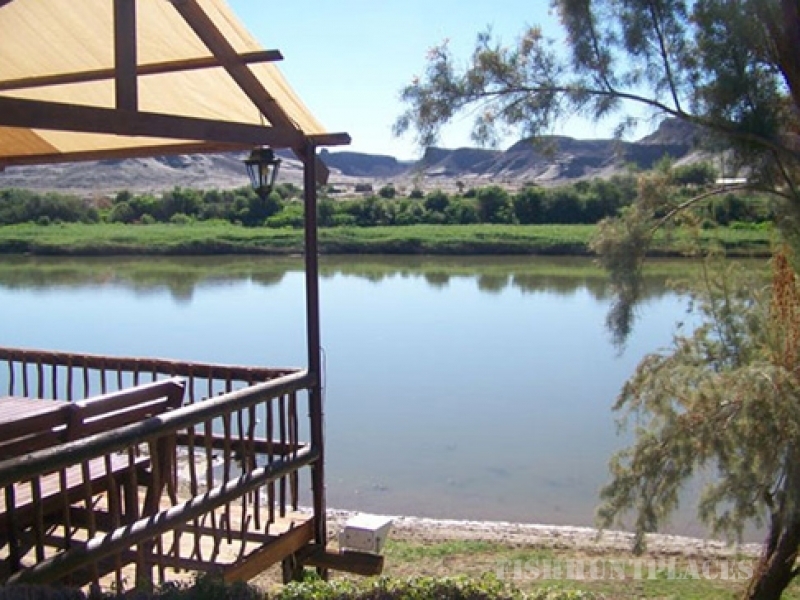 Our base camp is situated on the banks of the mighty Orange River more commonly known these days as the Gariep. The Orange being the longest of our rivers covering a distance of somewhat 2300km poses as great fishing waters. The river is home to a large number of different fish species like Largemouth Yellowfish, Smallmouth Yellows, Carp and Monster Catfish. At the end of the day its all about what you as the fisherman is after or targeting on your trip. Once you are hooked on catching these most sought after species in South Africa there is no turning back! Both species are caught in fast flowing water witch adds to the aggressive strike and superb fight, better than any other fish of its size. These fish feed up and down the rapids foraging for insect larva amongst the boulders. A number of different methods can be used to hook one of these aggressive little fighters. Fly fisherman use a method could Czech nymphing, witch in my opinion is the most simple and effective way of getting hooked into a good size Smallmouth on fly. If your not a Fly fisherman, then you can enjoy catching these fish on a light wait rig. The guides will collect an assortment of natural baits witch is then just floated down the rapid or placed in an eddy. Once again these are aggressive little feeders and with the right assistants from your guides you will be hooked into a Yellow in no time! Largemouth’s are truly beautiful fish to catch, I often refer to them as the Kabiljou of the freshwater. Unfortunately they are less common than the Smallmouth, but when you hook into a good sized Largemouth Yellow for the first time you and your tackle are in for a new experience. This is the largest full scale freshwater fish found in South Africa, the record being over 20kg. CAN U IMAGINE HOOKING INTO A 20KG FISH ON LIGHT TACKLE!!! Just as with the Smallmouths there are many ways to catch this fish all depending on what the angler requires. Silvers are not as common on the Fly but can be taken on Deceiver patterns, crab imitations or any bulky predator type fly. Bait fishing is also a good option. I personally enjoy targeting these fish on natural baits especially the big old steam trains! 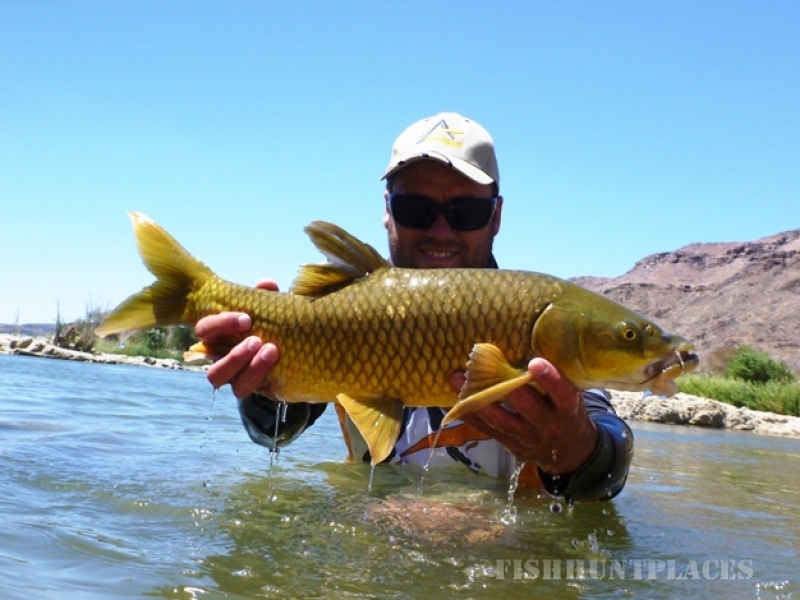 Okay well not all fisherman enjoy catching these slimy fish but the Richtersveld Nature Reserve section of the Orange River is definitely home to some of the biggest catfish. The SA record is over 40kg and being able to pose for a photo holding a fish that size is a good feeling for any fisherman. If fishing is not your thing then come along to enjoy the simplicity of just floating down the river. 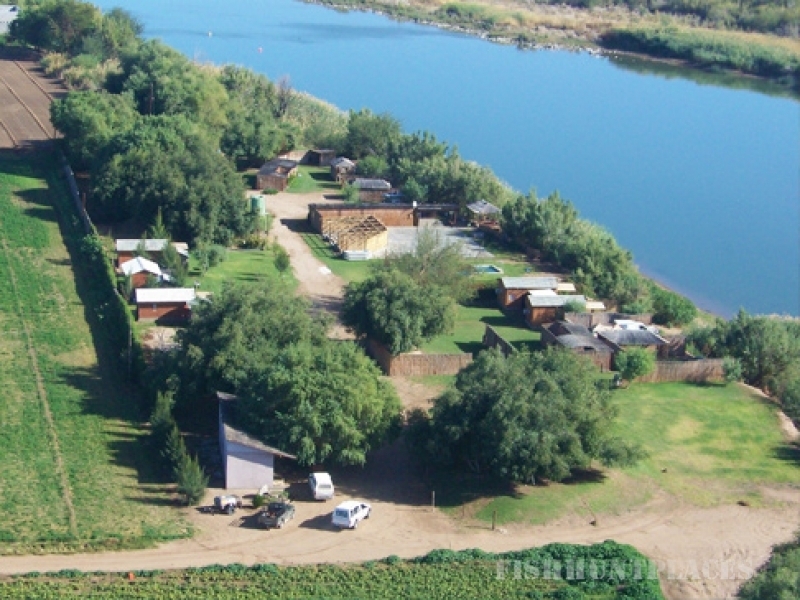 The river is teaming with birdlife and boasts with almost 200 different species. There is something majestic about waking up on the banks of the mighty Orange to the call of the Goliath Heron or the sharp thrill of the Pied Kingfisher. The guides will point out the different bird species to you and share the interesting stories of where names came from and local folk’s law tails. 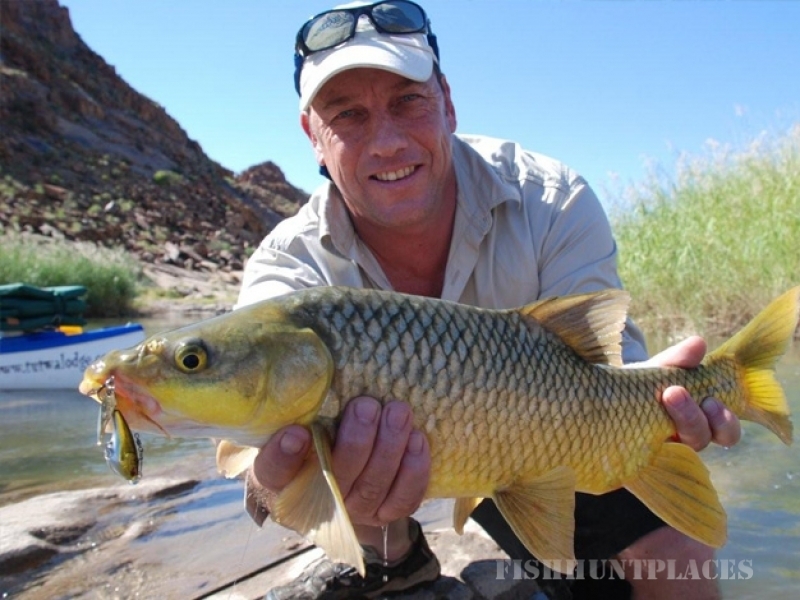 Remember while paddling and fishing with the Orange River fishing team there will always be a guide close by to give professional advice or assistants at anytime!